Diebold’s so-called “Irving” system works like this: Let’s say you want to get $100 from your ATM. Instead of taking your bank card with you, you schedule your withdrawal ahead of time on your phone via your bank’s mobile app. 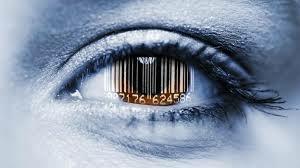 When you walk up to the screenless machine, it identifies you in one of several ways: Near Field Communication (NFC, the same type of technology used in Apple Pay’s mobile payment service), QR Code (for Quick Response Code, a machine-readable bar code that’s been used extensively in Japan) or biometrics (scanning your iris, a technique that’s considered far more fail-safe than fingerprints as a form of ID).The machine then spits out the cash and you go on your merry way. Diebold said the entire transaction could be completed in less than 10 seconds. The new system is more secure than traditional ATMs, in part because you wouldn’t need a card and wouldn’t have to punch in a PIN, the company said. Since Irving is only in the testing phase, it’s unclear when — or if — these devices will be rolled out on a broader scale. Citi didn’t immediately return a call for comment. Diebold also unveiled a second futuristic banking concept on Monday that it calls “Janus.” It’s a dual-sided terminal that can serve two customers at the same time for in-branch customer service.